Aaron the High priest was told to take two he-goats and draw lots: one goat was to be for God and the other to be for Azazel . On this goat on the sins of the Children of Israel were confessed and then the goat was sent to the wilderness. The Zohar teaches us that this Temple service is actually about the choices we make and their consequences. The essence of the month of Elul is “I am my Beloved’s and my Beloved is mine.” Yet this doesn’t square with it being the month of Teshuvah, repentance. Or does it? It’s a time for repairing relationships till they reach the level of love they had before we messed up, whether they are relationships between ourselves and our fellows or ourselves and God. It is a time of Teshuvah, a time of coming back. What does atonement really mean? Forgiving the hurts that others have done us somehow contradicts our sense of natural justice. Equally, what do I have to do make amends when I feel guilty and ashamed of mistakes I have made? I was reading the other day in the commentary on the Zohar written by the Baal haSulam, Rabbi Yehudah Lev Ashlag, about the children of Israel at the time of the first temple. and they would offer up sacrifices to atone for their nefesh, soul , well there it was and I began to think well what does that mean? and as I looked at these words in the Perush HaSulam on the Zohar I began to understand this atonement is about. Now to understand what the Children of Israel were actually doing, we have to know a little bit about the different parts of ourselves. Starting from the outside in we’ve got a physical body, skin, bone, flesh, and all that, and then we have an aspect which is called the nefesh behamit, the animal soul, and that animates the body. That gives it its life force. We don’t have to tell the heart to go tick-tock, tick tock, it does it automatically. And the nefesh behamit gives it its life force, it also gives it its basic desires; for food, for health, for power, for security, for comfort, and so forth. All the basic desires that we share in common with the animals. And then the next part of our selves is the holy soul which resides within ourselves, within the nefesh behamit. We all have this soul this neshamah which starts off in everybody as a point source. Then as we work on identifying with the desires of our holy soul that starts to develop. And it develops to different extents in different people because it develops to the extent that we put effort into it. So the question I really wanted to ask myself was, “Which is the real me? I’ve got these bits, I’ve got the body, I’ve got the animal soul and I’ve got the point source in my heart. Which bit is me? If we go back to that piece of Zohar we can see that there is a clue there. When Israel was in a state of perfection they would offer up sacrifices to atone for their nefesh. Now the part they were at atoning for is their animal soul. Now why did they need to atone for it? To atone is like rescuing something, its like paying a ransom. le kaper is the same as kopher giving a ransom. Now the reason we need to atone for it is because we get muddled up. It’s a case of mistaken identity. I think that’s the real me! I got all confused! I’m pretty sure my body isn’t the real me, because it changes and I can see that it changes. After all I started off as a baby and I certainly don’t look like one now and I get thinner or fatter. Most of us are clear that we are not the body. What we are not clear about is that we are not the animal soul either. Because the animal soul contains all those desiresand it also contains the personality and the ego. Everybody gets confused on this one. You can’t live in the world and not get confused! In fact it’s a case of mistaken identity. We think it really is us. And that’s why it’s the cause of sin, because what is a sin? its when we think that that’s what we really want. When we go after what the animal soul is telling us. And how would they atone for it, well they would take an animal. An animal sacrifice is not by chance an animal, it was an animal which represented that aspect of the animal soul and they would bring it to the temple and they would put their hands on it and they would actually confess the sin on the animal before thy offered it up as a sacrifice. 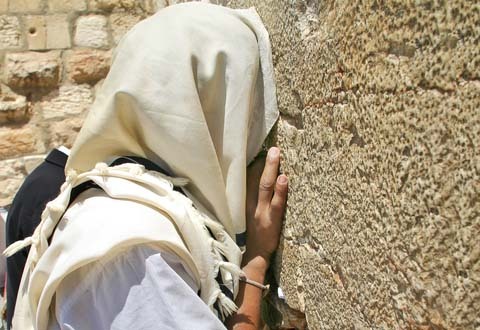 And that was the vidui, the confession So as we begin to look ,we can see these elements in the Yom Kippurservice and in the way we fast on Yom Kippur. 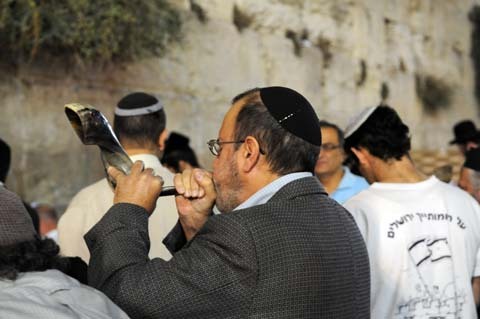 Everybody has to keep Yom Kippur. It doesn’t say in the Bible you only have to keep Yom Kippur if you sinned, Yom Kippur is for everybody. It says in the Bible “On the tenth day of the seventh monthyou shall afflict your souls and the word used is nefesh. And the soul we afflict is the animal soul. We don’t eat or drink or have any other bodily comforts. It’s as if we’re paying a ransom. We all mistook who we were. During the year we identify ourselves with the animal soul. It’s inevitable . We all do it. And on Yom Kippur everybody from the high priest downwards gives this ransom. We redeem our identity. We are not the animal soul, we are actually the essence of God who resides within us. In that source within the heart. We are bringing that back into the light again. That’s what we are redeeming. and the same elements that were done in the temple we do now in a different form. We make confessions and we pray, which is instead of the sacrifices in the Temple. When we have done that and we have come to teshuvah, we have come back to our source, we have raised up the Shechinah again, which is what Teshuvah is really about. It’s not really repentance, it’s teshuv hay, bringing back the God . So Teshuvah is about re-identifying with our holy soul. And the more we identify with our holy soul the more it will begin to grow. Our work on Yom Kippur enables us to clean of the confusion of the previous year and start the New Year afresh, identifying with our real selves.